September 2010 — A federal appellate court has ruled that San Francisco’s policy of conducting a visual strip search for weapons and drugs before placing new arrestees in the general jail population did not violate the prisoners’ rights. The 6-5 ruling by a panel of judges of the U.S. Court of Appeals for the Ninth Circuit came in the case of Bull v. City and County of San Francisco, 595 F.3d 964 (9th Cir. 2010) (en banc),a class action lawsuit brought on behalf of arrestees who had been strip searched at the San Francisco County Jail from 2002 to 2004. San Francisco attorney David Newdorf, who represented the City along with attorneys from the San Francisco City Attorney’s Office, said the ruling was a victory for common sense and safety. The County Jail’s policy was to release arrestees without a strip search whenever possible through issuance of a citation or posting of a bail bond, Newdorf said. For safety and security, deputies only strip searched those who were not eligible for immediate release and were going to be housed with other detainees in the general jail population, he said. 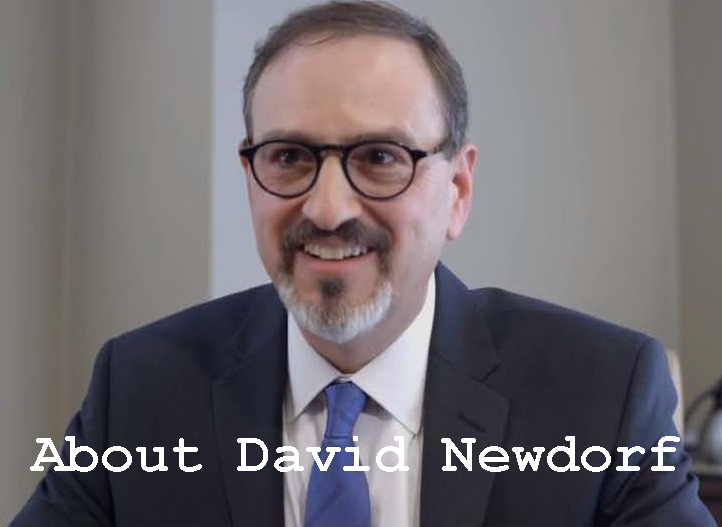 Newdorf, the managing attorney of Newdorf Legal in San Francisco, was a deputy city attorney from 2001 to 2008. He briefed and argued the Bull case in the U.S. District Court and before a three-judge panel of the Ninth Circuit. He assisted the City Attorney’s Office in the March 26, 2009 argument before the en banc 11-judge panel. 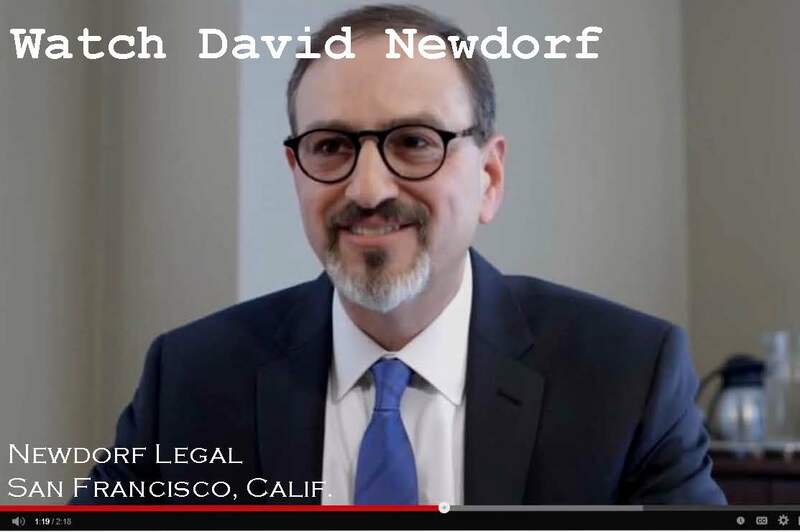 San Francisco-based Newdorf Legal is a firm of trial lawyers that represents companies, executives, investors, government and public officials in litigation. The firm handles disputes related to breach of contract, interference with contract, trade secrets, fraud, unfair business practices, real estate and public entity litigation. 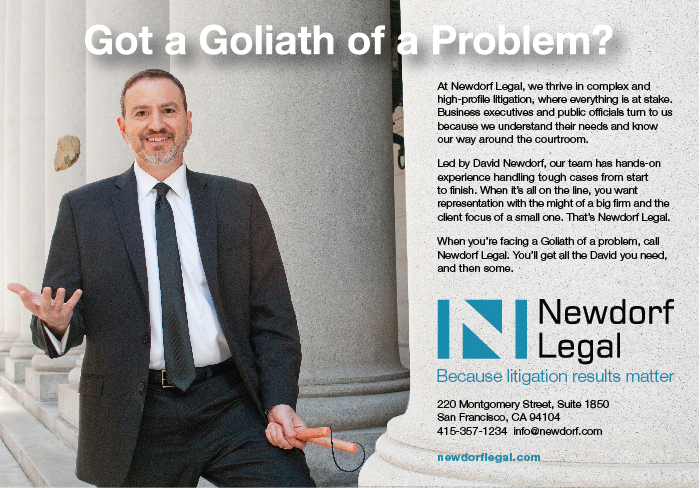 For more information, contact David Newdorf at 415-357-1234 or info(at)newdorf.com.